The Death of Ivan Ilych (1886) is considered one of the best novellas and Tolstoy's masterpiece after his religious conversion. It tells the story of a judge's terminal illness in 19th century Russia. We feature it in our guide to Russian Writers. 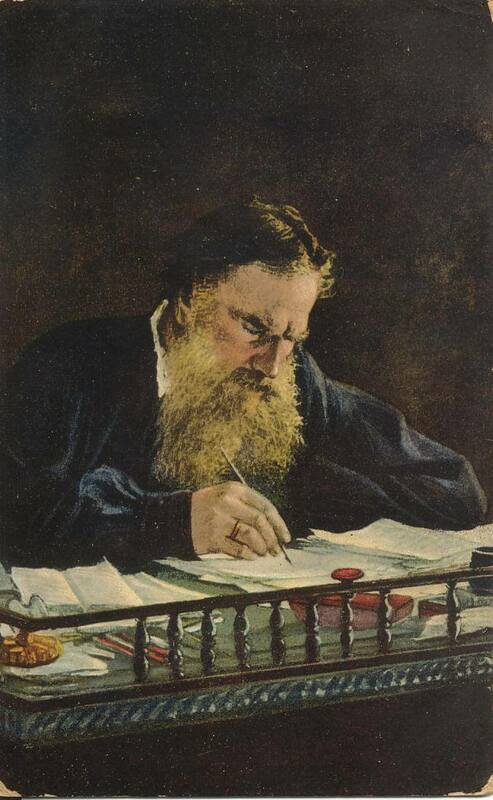 [Painting by Nikolai Ge, Leo Tolstoy at his desk, 1870].